There are a number of reasons why homebuyers should consider hiring a licensed home inspector to inspect a new house before moving in. Building a new home is a very fulfilling experience that gives you the opportunity to customize many aspects of the design. In all the fun of picking out aesthetic touches, do not forget how important it is to get your home inspected for quality by a skilled home inspector. 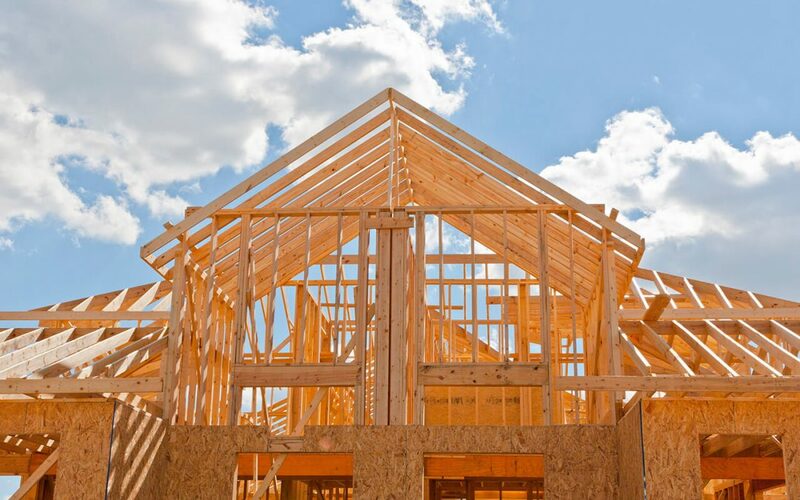 It is even better to schedule periodic inspections on new construction throughout the build process, which is called a construction phase inspection. While a walk through with the builder is helpful, it’s best to have a third party professional inspect the home for you before you sign the final papers. This article goes over some reasons why it is imperative to get a home inspection on new construction. Building a home is a complicated process involving many workers. Each contractor works on a different system of the house with minimal or no regard to other components in the house. Given that the multiple things are happening at once, it is unrealistic for the builder to scrutinize all phases of the construction. Even the most skilled builders can miss mistakes. If you have a new construction inspection and address any issues found before you move in, you will not have to live with the dust and noise from repairs. While you may have some small fixes to deal with, you’ll be glad that any major issues were discovered during the new construction inspection and taken care of before you moved in. Safety problems found in a home inspection on new construction such as poor ventilation and gas leaks must be fixed before moving in to keep your family safe. Missing or faulty insulation should be corrected since it makes your home less comfortable, less energy-efficient, and can lead to expensive power bills. Improperly installed shingles or roof systems can cause significant damage to your home if not detected and fixed in a timely manner. When you decide to sell your home, the buyer will get the home inspected. The inspector may find issues dating back to the original construction that you didn’t know about. You’ll be unable to ask the builder for repairs after the warranty has expired, so you’ll be responsible for any deficiencies yourself. The main point of having municipal inspections is to verify that the structure meets all building regulations. It is important to note that construction regulations are basic requirements. A home inspection on new construction goes far beyond code compliance. Pre-pour, pre-drywall, and pre-final walkthrough are the most common phases. The goal of phase inspections is to detect issues early so they can be fixed before the next phase. For example, during the pre-drywall inspection, your home inspector has the opportunity to spot problems before they are concealed by drywall. This way, you will be in a position to avoid expensive repairs that are hard to access once the wall has been completed. Cowan Inspection Group provides construction phase inspections to Utah including Park City, Heber City, and the Greater Salt Lake City area. Contact us to schedule an inspection.